Ignore, for a moment, the tentacled monster throwing off the flow of Collazo's otherwise cohesive Christian themed tattoos. The fighter does something admirable in boxing — appear to think for a moment about overall composition. 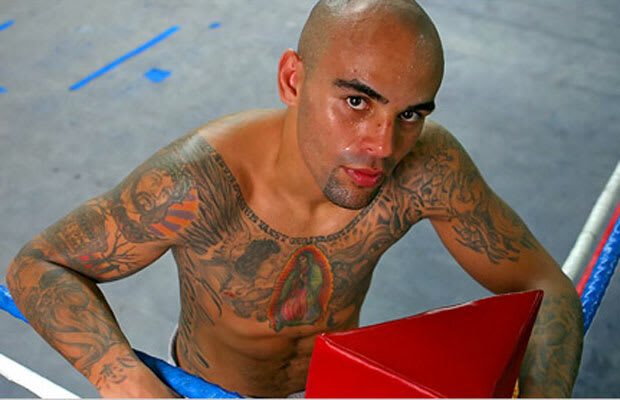 The tattoos are not the crispest, but when compared to Kelly Pavlik's curious coverage the achievement is obvious.